Mixbox - Make mashups from your favourite music. Make mashups from your favourite music. 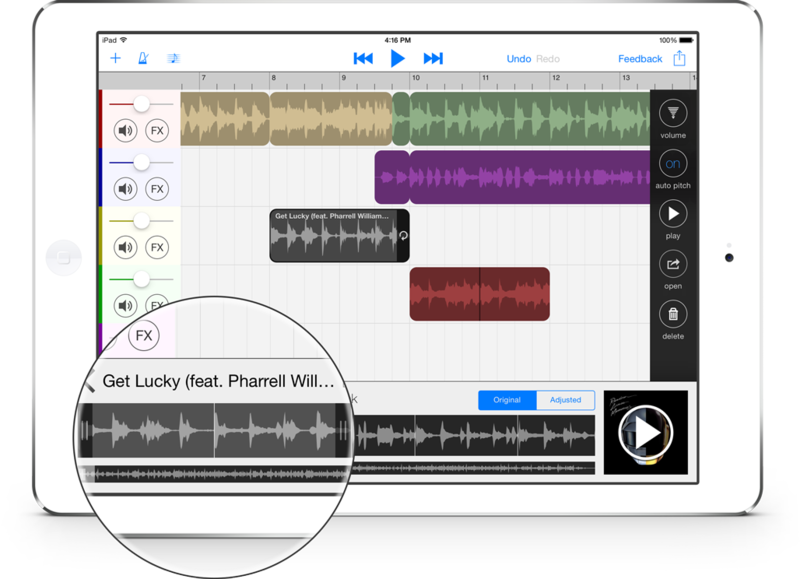 With automatic pitch detection and beat matching, Mixbox makes it dead simple to mix and mash up your favourite songs on your iPad. Drag, loop, and explore your music with your fingertips. Mixbox runs beat detection on your music, and automatically partitions your song into beats and bars. Mixbox makes all of your music sound good together by automatically transposing your audio to fit together. Add distortion, reverberation, and delay effects to your tracks. Export your creations to your computer through iTunes, or e-mail it to your friends. Questions? Feedback? Send us an email.